What happens if you join two well supported music forces of the scene and put them together on a boat for a six-hour cruise along Thames? Well, the result of such a mixture is nothing short of a mind-blowing party. On 16th October Babies Events, known also as an outdoor festival with tantalizing audio-visual package, combined strengths with the trance experts called Friendz to bring clubbers a one-off experience. Agnes Klos put on her sailing gear, called up her friends and set off on a voyage of discovery. After summer was long gone and memories of the spectacular festivals had started fading away, I was pleased to know that there was an event in October bound to refresh those precious summery moments. The first time I experienced Babies Events was in May this year. Unfortunately I missed the following one in August since I was away at Boom festival in Portugal. Once I found out that the next Babies event would take place on the massive Dutch Master Boat in October and that it would be fuzed with the unbeatable Friendz atmosphere on the other deck, I cleared my diary way in advance and waited in anticipation for the feast to come. Usually, having very high expectations of an event may lead to an even bigger disappointment. However, Babies Events vs Friendz boat party swept me off my feet, yearning for more as soon as it was finished. To start off, let’s explain a few core ideas behind both parties for all those ravers who have never experienced any of them. Babies Events is a fairly new party on London clubbing scene, introduced just over a year ago by a South-African DJ and promoter, Dino Ciancamerla aka DJ Neutrino. The idea behind these events is that if your birthday turns out to be in the same month as the party, you get in for free. It all started with a simple concept and has now grown into a well-respected party which was already featured in Mixmag (the August issue 2010). They fully deserve the recognition as Babies Events are more than just a party. It is an indoor/outdoor festival which boasts a very high quality of production and includes a range of top quality dance music played out by some of London's finest DJs. Creative set design, stunning backdrops and décor brought by Global Village Productions always make such a huge difference to the event by introducing an element of psychedelic scene in the places where it has never been seen before. On the other hand, Friendz parties have established their reputation as ‘the best trance parties in town’ since 2003. Starting off as small intimate events for friends quickly changed into a major party organiser with regular events at the world famous Turnmills. Uncompromising uplifting trance has become the trademark of Friendz, attracting some of the finest trance DJs in the UK. Over years the regular parties at Turnmills progressed to sell-out boat parties, renowned for a genuinely friendly and happy crowd that knows how to display an appreciation for great dance music. Once I got to Millenium Tower Bridge there was already a buzz among clubbers with everyone visible excited about the evening to come. If you have never been to a boat party put it down on your list of "must do" things as a clubber. It is a beautiful experience that opens the door to another dimension of clubbing. Going to your first boat party is like going to an outdoor festival or squat party for the very first time. It is different and unique in its own way. You don’t know what to expect the first time, what people are going to wear and whether you manage to survive six hours on a moving boat up and down the Thames. But once the first beat hits the dancefloor and the engines start off, you are guaranteed to forget about all the previous worries, simply admiring the breath-taking river views along the way. The three decked Dutch Master was the perfect choice for the event in October as it is all weather party vessel. It has spacious covered and open deck areas, with a light and airy atmosphere during the day and a feeling of intimacy in the evening. The superb open top deck served as an enormous platform from where clubbers could admire London’s riverside attractions and enjoy a smoke if they felt like it. The musical division between two decks was clearly visible from the beginning. Lower deck was overtaken by Friendz and it attracted genuine trance lovers whereas the upper deck was filled with the psychedelic trance family. The party kicked off on the upper deck with some phat progressive beats served by Flow Theory. I had seen him in action once before at a party called Crystal Experience (brought by A.T.A.R.I project – a brand also created by Dino Ciancamerla). At that time Flow Theory played alongside such epic names like Ace Ventura, Avalon, Scorb and Rastaliens. 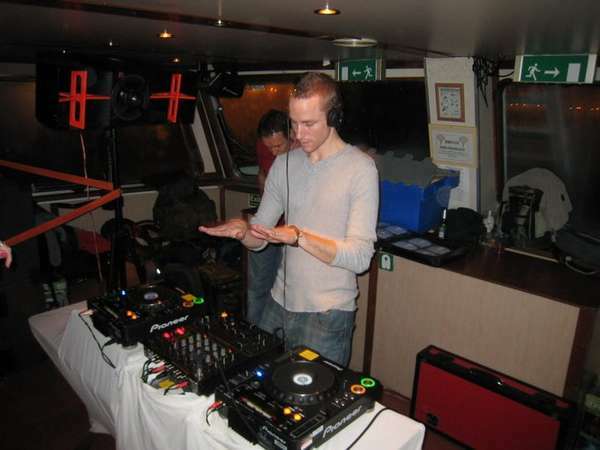 With his opening set at Babies vs Friendz boat party he confirmed his well-deserved reputation as ‘an energetic force to be reckoned with’, warming the crowd properly for the stronger beats to come. Next up was Natalie Parker who is one the UK’s fastest rising female stars on the clubbing scene. She is not only a charismatic DJ and producer but also an underground radio star (Select UK Radio - Mommyrocks Show) and the boss of new record label Project House Recordings. Her passion for music beamed on us like a ray of bright sunshine from behind the decks. Even though Natalie is a house music DJ, she proved that her style was very versatile, blending perfectly on the psytrance floor with her smashing energetic and techy set. Babies Events are renowned for delivering a massive line-up and that one time in October was no exception, with the likes of such beat masters as Hamish from Alchemy Records and DJ Neutrino himself who followed Natalie Parker on the upper deck. Hamish is an undeniable talent on the psy scene. He has played alongside the leading artists in the progressive and psychedelic genres such as Vibrasphere, Ace Ventura and Shane Gobi. His style ranges from warm, strong, psychedelic sound to groovy beats, without going too dark or twisted. Some of the clubbers might have heard him before at festivals such as Boom, Universo Parallelo or Life. The boat party was my first opportunity to hear Hamish rocking the dancefloor but I quickly fell in love with the journey he took us on from behind the decks. “Such a fantastic event! This was my first time on the Friends Boat party and it was even better than I had imagined. With the Babies crew involved I knew we were guaranteed a great, up-for-it crowd for a top-draw line-up, and it was one of my most enjoyable sets played in London for ages! Being on a boat cruising up and down the Thames past the sights of London also gave it a personal intimate feel that really left us all smiling. I hope to be back there on the decks soon!” said Hamish with a big grin on his face. After an energetic and very positive set from Hamish, the promoter of Babies Events, one and only DJ Neutrino, mastered the turntables. His genuine dedication to psychedelic trance was perfectly illustrated in the well thought-through selection of smashing tracks such as for instance ‘Light’ by Ace Ventura. As a surprise Neutrino wheeled out his own rework of the world famous hit ‘Right Here, Right Now’ by Fatboy Slim to great effect on the upper deck. Hands shot in the air and proper raving began with the sun setting behind the windows. To finish off the party, an amazing duo created by Nick Sentience and Nikki Sentience flooded the dancefloor with quality psytrance tracks, dropped without a warning on the already exhilarated crowd. Nick and Nikki displayed a unique ability to recognise just what the crowd desired as they mesmerised them with their unique style of play. Their energetic stage presence and swapping places behind the decks with such a grace gave an increased amount of energy to the dance floor. The duo launched their sets of pure energy on the unsuspecting ears of the electronic partygoers, driving everyone into frenzy till the very last track of the evening. Cutting edge class A psychedelic! Usually it is hard to have a crystal clear sound when on a boat but Element 5 Systems did an amazing job. The psychedelic decorations provided by Global Village Productions added that distinctive feel to the party. When the spectacular evening came to an end I managed to talk to the promoter of Babies Events, Dino Ciancamerla, who told me: “The party was an outstanding success. The music was of very high quality and progressed very well through the night. Both floors offered the perfect variety of style and pace. We feel that the two brands (Friendz & Babies) and our respective crowds gelled perfectly together to give the clubbers a really special event. That sound was crystal clear, the decor and lighting spectacular and the atmosphere was unbelievably friendly. Definitely the best boat party I have ever been on." Meantime on the lower deck Friendz party was in full swing as well. Gino Simone kicked things off with percussive, progressive trance beats followed by a South-African talent David Marais. David with his monthly Strawberry Sundays residency under his belt and past sets at such events as 10 Years of Vandit with Paul van Dyk has become one of the DJs to look out for. He unleashed a blistering set of trance delights, all of which were lapped by the bustling dancefloor. 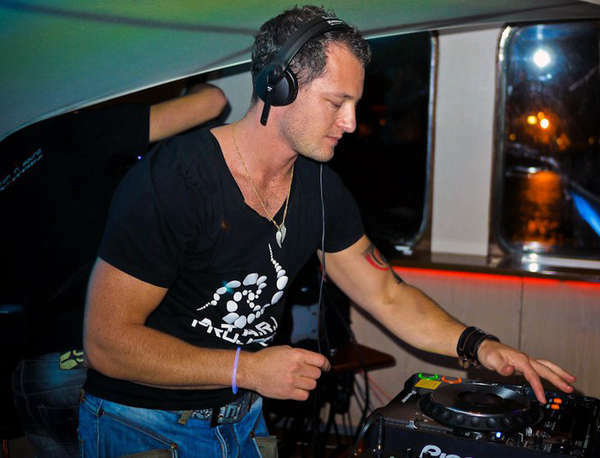 Gracing the lower deck with his presence was also Joe Garrett aka Temple One who is one of the hottest names in uplifting trance at the moment. His first release a two track EP at Trance Revolution Recordings in 2006 got support from the likes of Armin Van Buuren and Ferry Corsten. Afterwards Joe quickly became one of the most requested guys in terms of remixes, taking artists like Fast Distance, Elsa Hill and AF Project to a whole new level. It was a real honour to be in his presence and judging by his beautifully uplifting trance set he visibly knew his way around the DJ box. Sheer energy also came from Wynand Delport who played after Temple One. His outstanding style of progressive and soaring euphoric trance took the crowd for a memorable journey with many people closing their eyes and getting completely lost in music. “Friendz has always been about an amazing crowd and an electric atmosphere - that special vibe that you tend not to find at club events anymore. To me the Friendz vs Babies event totally exceeded expectations in the sense that the event delivered what Friendz is well-known for plus a unique under-ground Babies vibe which was new and very well received by the Friendz regulars,” said Wynand. 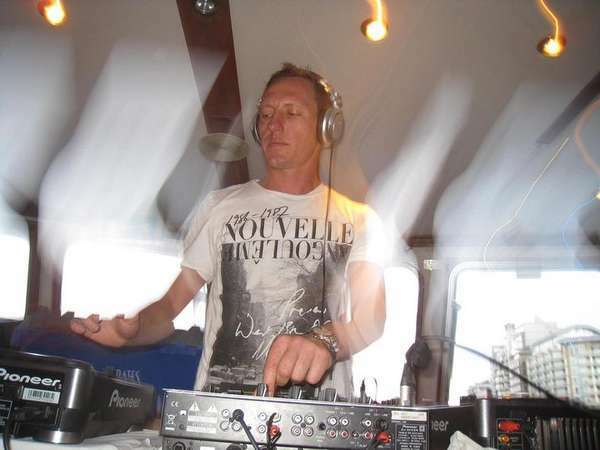 The final hours on Friendz deck saw Ian Betts who has long been one of the trance scene's global stars. Surrounded by the entranced mob with his infectious smile and hands in the air he played an unforgettable high-octane set that he has become renowned for. Babies Events vs Friendz boat party was one of the best parties I have been to in London. With the full on festival vibe, U face and body painting, free shisha lounge, cutting edge music, it was a party that set standards for other promotions to follow. All photos courtesy of Agnes Klos, David Marais and Wynand Delport. Not to be reproduced without permission. Piracy is not a crime – sail away with Feestgedruis! Awesome review Agnes, thanks for coming to the event and thanks for the write up! Fantastic review as always Agnes!! What a rocking party and perfect way to end the summer. Bring on more babies parties! !